In an age when there are hundreds of television channels, there’s a decent chance that you’ll be able to find a TV show that you like to watch. Unfortunately, with economics being what they are, there’s also a really good chance that it will be cancelled. The network execs have to answer to their stockholders and are less and less likely to take time to let shows grow an audience. Or, if the size of a series’ audience declines, they often have to axe them as well. Here’s a “quick” listing of shows that won’t be back for the 2009 — 2010 TV season. If your favorite is on the list, you have our sympathies. Part of the failed partnership between Media Rights Capital and CW, this reality series follows celebrities as they travel around the world and meet inspiring community leaders. Eight episodes were produced but only seven aired. TV show dates: October 5 — November 23, 2008. A horror-reality show that revolves around 13 contestants trying to survive scary movie scenarios and win $66,666. Unfortunately, the show couldn’t scare up viewers. It’s been cancelled after all eight episodes aired. TV show dates: January 7 — February 20, 2009. This old-style sitcom about a headstrong contractor and his beautiful wife was successful in its early seasons but, by season five, the ratings really started to decline. Still, the network kept renewing it and the sitcom managed to survive for eight seasons. TV show dates: October 3, 2001 — May 5, 2009. A reality show in which contestants try difficult and dangerous occupations. The winner takes home the combined first year salaries of all of the sampled jobs. The series performed poorly in season one and was shuffled to Saturday nights for its final installments. TV show dates: August 25 — October 25, 2008. A revival of the 1989 syndicated game show, this series pits amateur athletes against “gladiators” in contests of strength and agility. When NBC announced its year-round schedule last April, Gladiators was set to return for season three in Summer 2009. In the meantime, the series performed poorly in the ratings and execs changed their minds about its future. It’s been rumored that Gladiators may eventually return but it won’t be on NBC. TV show dates: January 6 — August 4, 2008. The Jeff Foxworthy-hosted game show pits the knowledge of adults against precocious pre-teens. The show is set to return with new episodes in late June but that’s supposed to be the end of the show’s run. For those who enjoy the series, a syndicated version will begin airing in September on MyNetworkTV. 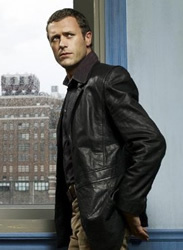 <TV show dates: February 27, 2007 — TBD. Based on a UK series of the same name, five young couples get a feel for what it’s like to take care of a baby for three days, then a toddler, a pre-teen, a teenager, and an elderly person. The network took a lot of flack for “borrowing” infants and didn’t even get good ratings. TV show dates: June 25 — August 6, 2008. This remake of a classic 1980s science fiction series has become more popular than the original. Though expenses and ratings were a factor in keeping the show on the air, the producers were able to bring the story to a conclusion. TV show dates: December 8, 2003 — March 20, 2009. A quirky legal drama that centers around attorneys at the Boston law firm of Crane, Poole and Schmidt. 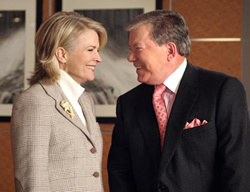 Due to a decline in viewership and attracting an older demographic, the network closed the show after five seasons. TV show dates: October 3, 2004 — December 8, 2008. Pop culture stars are trained in circus acts and then perform for judges and home viewers to stay in the competition. Antonio Sabato, Jr. won the first season’s competition but there won’t be a second year. TV show dates: June 11 — July 16, 2008. Revealing the stories from “behind the headlines” about the hot celebrities of the day, the gossip show’s second season was cut short. TV show dates: October 1, 2007 — October 20, 2008. Al Roker (The Today Show) hosts the newest version of the classic TV game show with celebrity families competing for cash prizes that are given to charity. Six episodes were produced and aired but not enough people watched. TV show dates: June 24 – July 29, 2008. A private-eye is propelled into a parallel universe after an explosion at a secret desert facility. The network decided against renewing the show for a second year. TV show dates: June 6 — October 21, 2008. Despite decent ratings, David Alan Grier and his comedy sketches were given the axe. Only one short season of 10 episodes was produced. TV show dates: October 15, 2008 — December 31, 2008. The Chef Ramsay-like reality show was pulled after three installments and terrible ratings. The network immediately began airing the remaining episodes online but later announced plans to burn off episodes on Friday nights. TV show dates: March 11, 2009 — July 2009. Though the court show just won a 2007 Emmy for Outstanding Legal/Courtroom Program, it’s ending after three seasons due to a decline in ad dollars. TV show dates: September 11, 2006 — September 2009. Based on the classic Robinson Crusoe novel, this series never achieved good ratings and was stranded on Saturday nights. All 13 episodes aired. TV show dates: October 17, 2008 – January 31, 2009. A remake of the short-lived 1990s series of the same name, this show didn’t last as long as the original. Will we ever find out if Trevor is really Cupid — in either version? TV show dates: March 31 — May 12, 2009. After one short season, the sometimes controversial host and his news show have been cancelled after one short season. TV show dates: October 25, 2008 — March 2009. The game show was a great success initially but then the network overexposed it. Audiences became tired of it and ratings dropped off. After four years and 197 episodes, NBC has cancelled the game show. This doesn’t affect the syndicated daytime version. TV show dates: December 19, 2005 — May 18, 2009. Even lawyer Nick George couldn’t save the Darling clan from being cancelled. ABC opted not to order a full second season. TV show dates: September 26, 2007 — August 8, 2009. A sitcom based in a posh New York City hotel. With bad reviews and few viewers, FOX pulled the plug after three installments aired. Three episodes, including the pilot, were never broadcast. TV show dates: September 10 — September 24, 2008. This sing-a-long game show is hosted by the always-energetic Wayne Brady. It returns to the FOX schedule for the Summer months but they aren’t making any more episodes. TV show dates: July 11, 2007 — TBD. Part of the Media Rights Capitol Sunday night line-up on the struggling CW network. The drama centered around a family of loan sharks. Eight episodes were made but only four saw the light of day. TV show dates: October 5 — October 26, 2008. A brilliant biophysicist helps the government investigate strange scientific cases. Though the ratings weren’t that bad and the show’s devout following, CBS execs cancelled it after 18 episodes. TV show dates: October 9, 2008 — April 2, 2009. A successful lawyer begins to have visions that put his life in turmoil and take him on a personal and spiritual journey. ABC decided against ordering a full second season. TV show dates: January 31, 2008 — July 11, 2009. 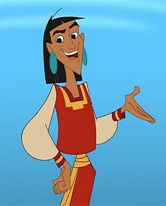 Based around the characters from the Disney movie, The Emperor’s New Groove, Emperor Kuzco must attend school to keep his high position. The animated series lasted two seasons. TV show dates: January 27, 2006 — November 20, 2008. The venerable NBC medical drama that follows doctors and patients at a Chicago hospital. The show lasted 15 seasons and lots of changes is castmembers. TV show dates: September 19, 1994 — April 2, 2009. A semi-autobiographical sitcom about the early life of comic Chris Rock. 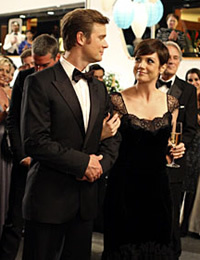 The show lasted for four seasons and 88 episodes. It was looking pretty certain that the show was going to be cancelled so Rock ended it on his own terms. TV show dates: September 22, 2005 — May 8, 2009. A psychic tells a young woman that she’s already dated the man of her dreams and, if she doesn’t marry within a year, she’ll always be alone. The series was pulled after four installments but all 13 episodes were completed for a possible DVD release. TV show dates: October 3 — October 24, 2008. This series is an anthology of horror/suspense stories, directed by well-known directors like Stuart Gordon, Brad Anderson, John Landis, and Rob Schmidt. Unfortunately, the series couldn’t scare up many viewers and NBC only aired eight of the 13 produced installments. TV show dates: June 5 — July 31, 2008. When a child outgrows his/her imaginary friend, they find a foster home with Madame Foster. The animated series is coming to an end after six seasons and 78 installments. TV show dates: August 13, 2004 — May 3, 2009. Master impressionist Frank Caliendo impersonates politicians and celebrities in this essentially one-man show. All 15 produced episodes have aired. TV show dates: November 20, 2007 — December 23, 2008. After three seasons and 64 episodes, Melanie and Derwin were finally married. Since the network is no longer interested in sitcoms, creator Mara Brock Akil pitched an hour-long dramady version of the series for season four but the CW didn’t go for it. There’s been some talk that BET might pick it up. TV show dates: October 1, 2006 — May 15, 2009. A hidden camera show from Ashton Kutcher in which everyday people perform crazy stunts in public to try to win up to $50,000. The show enjoyed a brief eight episode run in January and won’t be back with more. TV show dates: January 3 — January 24, 2009. This murder mystery show started out pretty strong but quickly lost viewers. CBS is burning off the existing 13 episodes on Saturday nights. If there was going to be another season, it would have revolved around a new mystery. TV show dates: April 9 — July 11, 2009. A strange game show in which contestants try to quickly contort their bodies to match the cutouts in a rapidly moving wall. There were 26 episodes produced and, to date 18 of them have aired. TV show dates: September 7, 2008 — March 15, 2009. A documentary-style show that follows men and women who help to keep our nation safe. ABC thought that the public would find this interesting. They didn’t and the network cancelled it. TV show dates: January 6 — March 10, 2009. A practical jokes series, led by Howie Mandel, that lasted just a single season of 20 installments. The ratings didn’t make the network smile. TV show dates: January 9 — April 17, 2009. A reality show that details dangerous professions and the people that do them. The show got very low ratings and was pulled after only five episodes had aired. Five installments are still on the shelf. TV show dates: October 5 — October 26, 2008. Based on a web series, this sitcom looks at the challenges of juggling motherhood with work and love lives in a complicated modern world. The sitcom was pulled after four episodes and the last three installments will run next month. It won’t be back for season two. TV show dates: March 26, 2009 — TBD. A remake of an Australian series, this sitcom revolves around a dysfunctional mother and daughter relationship. Low viewership doomed this series to a 17 episode run. TV show dates: October 9, 2008 — March 12, 2009. The animated series has been around for 13 seasons and 250 episodes, enough to keep it running in syndication for a long time. Its ratings have slipped, making it the weaker piece of FOX’s animated line-up. There was talk of ABC picking it up but it didn’t happen. FOX may air a couple leftover episodes next season but they aren’t making any more. TV show dates: January 12, 1997 –TBA. This continuation of the 1982 David Hasselhoff series didn’t take off with enough viewers and has been cancelled after a shortened season of 17 episodes. TV show dates: September 24, 2008 — March 4, 2009. Though it was the cable channel’s biggest show for awhile, its ratings dropped and the show was cancelled after three seasons. Unfortunately, there were many storylines that weren’t resolved in the last episode. TV show dates: June 26, 2006 – March 16, 2009. A series centered around a group of friends who happen to be gay, bisexual, and transgender. Viewers were told they’d find out who killed Jenny in the sixth season finale but it didn’t happen. TV show dates: January 18, 2004 – March 8, 2009. A reality show competition that seeks to find the most talented stand-up comedian. The winner receives his own comedy special and a development deal with NBC. Created by Peter Engel (Saved by the Bell), Standing has been hosted by Jay Mohr, Anthony Clark, Bill Bellamy, and Fearne Cotton. The series ran for six seasons and 59 episodes. TV show dates: June 1, 2003 -– August 28, 2008. The late-night talk show host is moving to the West Coast to take over The Tonight Show. O’Brien began as a veritable unknown but the show ran for 2,725 episodes and 16 seasons. TV show dates: September 13, 1993 — February 20, 2009. The ongoing story of Detective Charlie Crews lasted just two seasons and 32 episodes. The ratings weren’t high enough for a third season, even for the struggling peacock network. TV show dates: September 26, 2007 — April 8, 2009. A remake of a UK show of the same name, the series was struggling to hold onto its audience for its first handful of episodes. Then, the network put it on hiatus for three months and things got even worse. Thankfully the producers had enough time to wrap up the ongoing mystery. TV show dates: October 9, 2008 — April 1, 2009. The series about three powerful and beautiful ladies from the big apple, lasted just two short seasons and 20 installments. TV show dates: February 7, 2008 -– January 9, 2009. The fourth network’s answer to Saturday Night Live lasted 14 seasons before FOX pulled the plug. Producers want to find another home for the series but thus far, they don’t appear to have been successful. TV show dates: October 14, 1995 – May 2009. The show about a dashing do-gooder, his assistant, and their crazy adventures attracted a loyal but small audience. It won’t be coming back for a second year but there will be a comic book and a DVD set this summer. TV show dates: June 16 — September 1, 2008. Co-executive produced by Ryan Seacrest (American Idol), this reality show centers around a group of mothers who help to choose a mate for their complacent sons. All six episodes of season one aired and there won’t be any more. TV show dates: December 16, 2008 — January 19, 2009. The a.m. gabfest hasn’t been renewed and will come to an end after three seasons. New episodes will continue to be made until June, reruns will air until September. TV show dates: January 22, 2007 -– June 2009. Used mostly as filler by the network, this series showcases humorous clips from television and everyday situations. A few unaired episodes will pop up in the coming months (July 21st, July 28th, August 26th, and August 28th) but no other original episodes will be produced. TV show dates: February 8, 2005 — August 28, 2009. Unfortunately, Earl never got to finish his list. It looked like TBS might pick it up but it didn’t happen. TV show dates: September 20, 2005 -– May 14, 2009. Christian Slater’s foray into series television was cut short after only nine episodes. Viewers were left hanging and were robbed of any resolution. TV show dates: October 13 -– December 15, 2008. A reality competition that ran for five seasons on USA Network before moving to NBC. Billy Ray Cyrus hosted the most recent run, season six. The show’s been cancelled by the peacock network and there’s been no mention of the series returning to its original cable home. TV show dates: March 8, 2003 — August 4, 2008. The Aston Kutcher reality game show was pulled from the schedule after three installments were aired. The rest may see the light of day eventually but they aren’t making any more. TV show dates: September 23 — October 16, 2008. This strange reality show revolves around the crazy Osbourne family interacting with audience members and outrageous acts to create crazy stunts and comedy. Based on the poor performance of its March 31st preview episode, FOX has cancelled it. Five additional episodes were shot but won’t be aired. TV show date: March 31, 2009. The network says that Wentworth Miller can finally stop running. The prison drama is ending after four seasons. A two-hour follow-up movie has made and is coming to DVD in July. FOX may or may not air it as well. TV show dates: August 29, 2005 — May 15, 2009. This dramedy stars JoAnna Garcia as a young journalist who becomes a tutor to two spoiled rich teens. Though the series has a devoted following, it just didn’t attract a large audience. A second season was being considered but it didn’t make the cut. TV show dates: September 9, 2008 — February 24, 2009. The piemaker with the magic touch couldn’t save his own series from the grim reaper. It ran for two short seasons. TV show dates: October 3, 2007 — June 13, 2009. Sam, a young slacker, learns that his parents sold his soul to the devil and, in return, must hunt down escaped souls for the Devil. 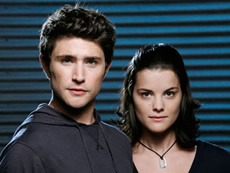 The fun supernatural series was cancelled after two short seasons and 31 episodes. ABC Studios, who produces the show, is measuring interest from CW affiliates about possibly continuing the series in first-run syndication. TV show dates: September 25, 2007 — May 26, 2009. An animated action series, this show ended after two seasons and 52 episodes. The finale aired on March 30, 2009. This sitcom looked very successful when it had a strong lead-in like Dancing with the Stars but few bothered to watch this Christina Applegate show without it. The final episodes are likely to air this Summer. TV show dates: October 15, 2007 — TBD. A reality show in which millionaires go undercover in depressed areas and end up awarding money to people in need. The network has said there’s a chance that it may be revived someday but, for now, it’s dead. TV show dates: December 3 — December 18, 2008. 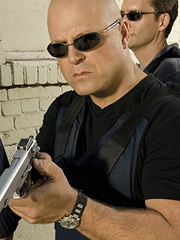 The gritty cop series that stars Michael Chiklis as the unforgettable Vic Mackey ended its run after seven seasons and 88 episodes. Though the series finale left lots of room for debate, creator Shawn Ryan was able to end the tale on his own terms. TV show dates: March 12, 2002 – November 25, 2008. From creator Mitch Hurwitz, this animated series reunites several Arrested Development castmembers. Unfortunately, the series wasn’t beloved by viewers or critics as much. Four episodes have aired, leaving nine on the shelf. TV show dates: April 19 — May 10, 2009. This beloved part of the Stargate franchise ended its run after 100 episodes and five seasons on the air. The storyline and characters are expected to continue in at least one made-for-DVD movie. TV show dates: July 16, 2004 -– January 9, 2009. The mini-series about a dumped Hollywood wife was popular but the regular series didn’t attract as many viewers. The show was cancelled after one season and 10 episodes. TV show dates: October 10 -– December 12, 2008. A dance competition series that pits groups of eight international dancers against one another. Hosted by Riverdance veteran Michael Flatley, this show lasted five episodes. It won’t be coming back for season two. TV show dates: January 4 — January 26, 2009. A drama that follows three families in the swinging seventies. CBS ran it during the summer months and it attracted a small but devoted audience. The network tried to find another outlet for season two but couldn’t. TV show dates: June 5 — September 5, 2008. 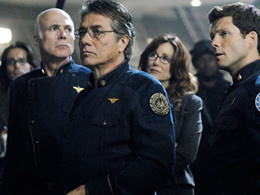 This sci-fi action series lasted just 31 episodes before having its plug pulled. Though you’d think that there’d be a big audience for a small-screen version of the Terminator franchise, not many viewers tuned in. TV show dates: January 13, 2008 — April 10, 2009. After 17 years, the late night talk show host turns over the venerable program to Conan O’Brien. 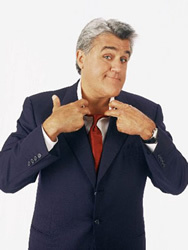 Leno will be moving to his own primetime series in September 2009. TV show dates: May 25, 1992 — May 29, 2009. Though it was once a staple of teens’ afterschool diet, the music video show slipped in popularity in latter years. In the last episode, current and past hosts count down the top 10 videos of the show’s history. TV show dates: September 14, 1998 -– November 16, 2008. This show about the ad game, starring Tom Cavanagh and Eric McCormack, faltered right out of the gate and the network isn’t giving it a second chance. TV show dates: January 26 -– April 7, 2009. This beloved military drama followed the lives of both a special forces team as well as their family members at home. A victim of cost-cutting measures, Dennis Haysbert and company won’t be returning to fight again. TV show dates: March 7, 2006 — May 10, 2009. An off-beat cop show that took over a Wednesday night timeslot from Life on Mars. ABC wanted this one to work but not enough people were interested. The show won’t be back next season. TV show dates: April 8 — June 17, 2009. A romantic drama in which a group of Greek gods try to promote love among mortals. Four aired while four other installments are gathering dust on the shelf. TV show dates: October 5 — October 26, 2008. This venerable crime drama about the FBI’s New York Missing Persons Squad is about to go missing itself. Due to budget cuts and sinking ratings, the show won’t be back for season eight. TV show dates: September 26, 2002 — May 19, 2009. Thankfully, we got to see unlucky Sam and his bride have their baby together. Unfortunately, we’ll never get to see if Sam’s klutziness is hereditary. The show has been cancelled after 16 episodes. There was talk of renewing the show as a cheaper, multi-camera sitcom but it didn’t work out. TV show dates: September 22, 2008 — June 6, 2009. We’ll keep updating this list as shows are cancelled for this season. Which one(s) will you miss the most? There’s a comment box below, you know what to do! I loved WORST WEEK, looked forward to it every week!! Always made me laugh!! Channel 9 took the TV Series Dangerous women in the middle of the series. Ok, I’m sure I’m behind the times on this one but I guess “V” was cancelled. whats the show called where this girl is like a fighter nd she has a partner but he is a robot and he is in her backpack called?